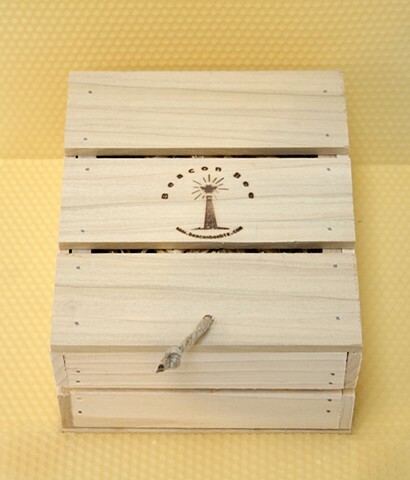 This handmade poplar crate makes a great gift box, especially when filled with a selection of Beacon Bee products! Pack it yourself, or contact us for suggestions and we'll pack it for you. Comes with packing straw and twine, unless otherwise specified.